Finished fixing your face? Don't forget your brows! Frame up your features with expertly groomed, beautiful brows. The slanted end of these tweezers lets you firmly grasp even the finest hairs, while the custom-blend bristle brush helps you groom your brows into place. Tweezy does it! Very satisfied! I have so many cheap tweezers in my drawer..that don't work..the ends don't clamp together to grab the hair. So, finally, purchased a good tool that works!! It's made solid. It comes in a nice little plastic case and that's where i keep it...easy to find and keeps it safe and clean. 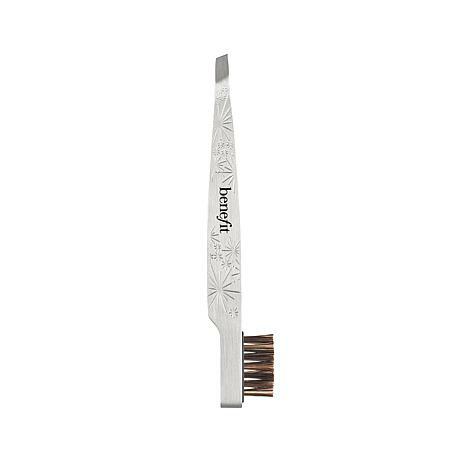 Decided to try this benefit tweezer and found out it's Nothing special, does NOT grab hairs on brow very well and especially if you are trying to get the tiny hairs...FORGET IT! 2 stars b/c I actually really like the brush part of it and to be honest, that was mostly the reason I decided to give it a try., Ill keep it b/c I got it on a sale price BUT I will stick with my tried and true TWEEZERMAN TWEEZERS for real hair Tweezing. I didnt see a difrence from any other tweezer from my drug store..the tweezers still had trouble plucking stubborn hair on my eyebrows.. 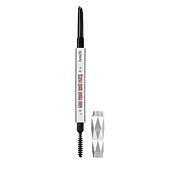 The brush is great & really brushes out the eyebrow hairs.. I know they weret expensive but I expected more grip. Tried to grab hair but just slide through. Not happy at all. Dont buy- worthless! The idea of this item is great!The quality is lacking. The tweezers are horrible. The brush is nice. Too much cost to send back. Another trashed item.